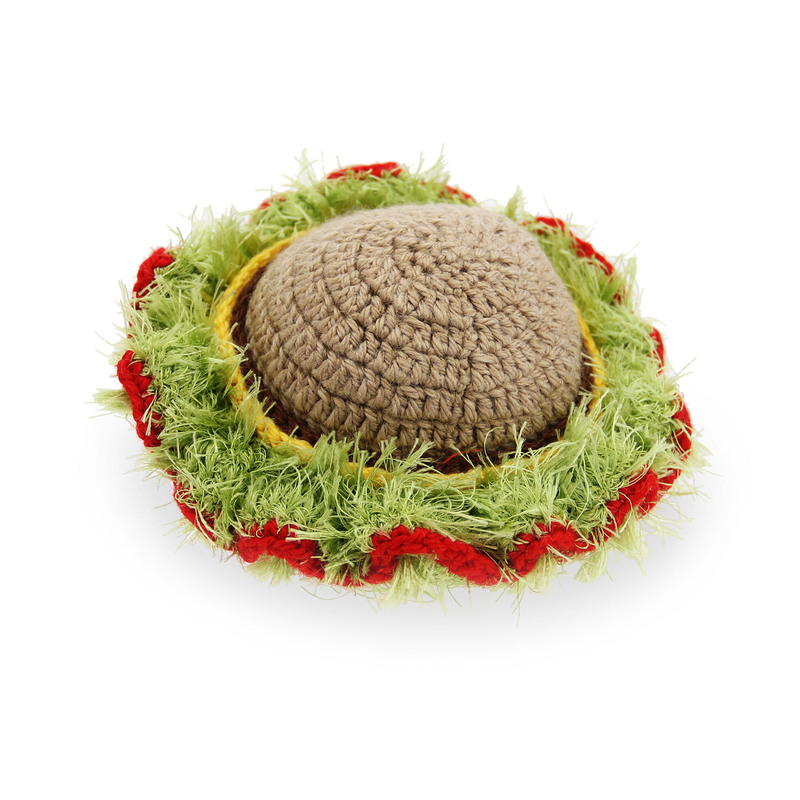 Get your pet something only an OoMa can make with love with this OoMaLoo Handmade Burger Dog Toy! 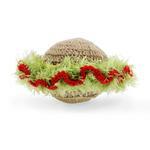 Dogs will love taking a bite out of this adorable OoMaLoo Handmade Burger Dog Toy! 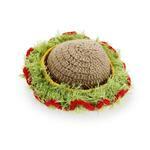 All OoMaLoo toys are hand made with care for maximum durability. The ‘furry’ portions, made of high-quality non-shedding polyester yarn, are especially strong and long-lasting. Medium design features and details are done in a contrasting synthetic yarn. Each dog toy contains at least one industrial-strength squeaker. These squeaky balls are made of non-toxic materials exclusively for OoMaLoo. Dogs love not only the furry texture of the toys, but also the squeak. Toys are machine washable in cold water, gentle cycle; air dry only.